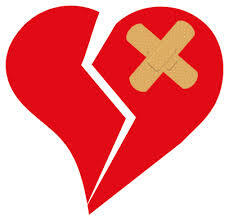 San Diego » Blog » Water Damage Restoration » Water Damage San Diego: Is Your Boyfriend Causing You Heart and Water Damage? Did your boyfriend tell you he loves you then clog your toilet, only to leave you with a water overflow? This is something that many couples experience, but don’t flush your relationship down the toilet because of this. Water damage more often than not comes from natural disasters like floods and hurricanes but who knew it could come from dating as well? Maybe you’ve just bought a brand new heated toilet but your man clogged it until the point of no return. Don’t just mop it up and wait for your floors to dry out. If you do this, you’ll experience some serious water damage. Besides having a puddle of water on the floor, mold and bacteria can form so maybe you should consider ditching the dude and taking care of the mess. Let our Water Damage San Diego team tell you how to take care of the problem. You may be asking yourself, “Why would I have electronics in my bathroom?” Have you ever plugged your iPod into some speakers and rested them on your bathroom sink? Bingo. Those are electronics and let’s face it, accidents are unavoidable. So if you have your precious iPod Nano lying around and it falls into that puddle of pee your boyfriend left on the floor, kiss it goodbye. First you’ll probably head straight to the mop which is a great idea. If you have sewers in the neighborhood, pour water down the drain. If not, go ahead and toss the water onto the lawn and perhaps your boyfriend too! A wet/dry vacuum is an excellent solution too but make sure you have an extension cord and keep it away from any outlets. This is the most crucial step to avoid water damage. Once you’ve mopped up your wet floor and kicked out your boyfriend, dehumidify the area ASAP. Open waters to allow for ventilation and faster drying. Disinfect the bathroom floor so it is completely dried out and all bacteria can be removed. Even dry out and disinfect the walls in case your boyfriend did some serious flooding in your bathroom. It may appear that the mess has been taken care of but you need to think about mold. Mold will grow if the floor or walls are still contaminated so you will want a reliable non-toxic product. Disinfectants such as Concrobium contain distilled water and inorganic salts. All you have to do is apply a thin layer over the mold and it will crush the roots of the spores. If you are having boyfriend problems, don’t call our Water Damage San Diego staff but if you are having issues with water damage then feel free to get in touch. With over 30 years’ experience in water damage removal, we are San Diego’s go-to company.